What's Your Favorite Assessment? - Coach & Grow R.I.C.H. If so, I’m really interested in which one is your favorite and how you use it. Please let me know by posting a comment below. I was recently introduced to the WorkPlace Big 5 Assessment and I was amazed at how spot-on accurate it is. It’s easy to see why so many companies use this profile as part of their hiring process to make sure the candidate will be a good fit for the position. In fact, I am so impressed with the WorkPlace Big 5, that I’m doing the on-demaand virtual certification program that starts on May 2nd. Exciting! Want to try the WorkPlace Big Five for free? Click here to try out the WorkPlace Big Five Profile yourself for FREE! you can jump in to next week’s group debrief teleconferences. You’ll receive the call times and dial-in information with your results. Want to join me and get certified to use the WorkPlace Big Five Assessment? Spaces are filling fast for the upcoming live and virtual trainings. I don’t want you to miss this amazing opportunity to get access to this transformational tool. Whether you’re new to coaching or a pro, this certification gives you everything you need to add value to your clients and create the ongoing revenue you need to live a life that you love! The next LIVE certification is in Buffalo, NY on April 29 – May 1, 2013. BONUS #1: You get the Big Five Sales Success Kit full of marketing ideas and materials to sell the WorkPlace Big Five Profile. (A $497 value). BONUS #2: You receive two hours of one-on-one coaching after you’re certified to practice debriefing, discuss your sales strategy, and more. BONUS #3: You also get 3 FREE WorkPlace Big Five Profiles to use with your customers. If you price them right, you can use these to cover your certification investment! Finally, if you missed last week’s complimentary training on how you can use assessments to supercharge your coaching business, you should watch the replay. It’s an eye-opening training about how coaches can use assessments to do better coaching, provide more value to clients, get in the door with corporate customers and develop an additional and potentially very lucrative revenue stream. Click here to get the Using Assessments to Supercharge Your Business webinar replay. 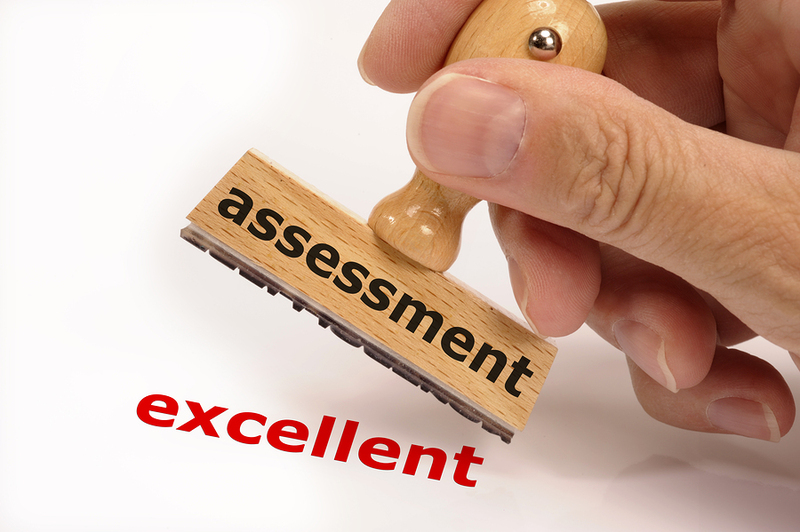 => PLUS… Offering assessments is an excellent way to get in the door with corporate clients. Enjoy the webinar replay and taking the WorkPlace Big 5 for free! The other GREAT thing about assessments is that they can be a very lucrative additional revenue stream in your business, especially when you work with corporate clients. Take the WorkPlace Big 5 for FREE and get the webinar replay to discover how to generate more revenue, clients and success in your business by using assessments. I use The Color Q a lot. It’s a derivative of the Myers-Briggs, but has a much simpler to understand and remember output. Explaining book – The Power of Your Personality, by Shoya Zichy – about $15 on Amazon. Particularly valuable – you can “Do unto others as others would be done unto” with the insights in this book and assessment. Particularly helpful for difficult clients – they get a “handle” on themselves quickly. “Oh that’s why she …..or why he…. or why I ?????! Thanks for the feedback Craig. I’m not familiar with either of those resources. Thanks for sharing! About 40 percent of the people who complete the assessment become paying clients. I use a combination of a business performance analysis and a DISC. Both help owners begin to understand what issues there are and that there are things they should work on. That sounds great Terry. Thanks for sharing! by far the best assessment tool I’ve ever found is hand analysis. when I apply the wisdom of the hands in business, it always results in more perfect clients, more fun and more money! How interesting Peggie – thanks for sharing!